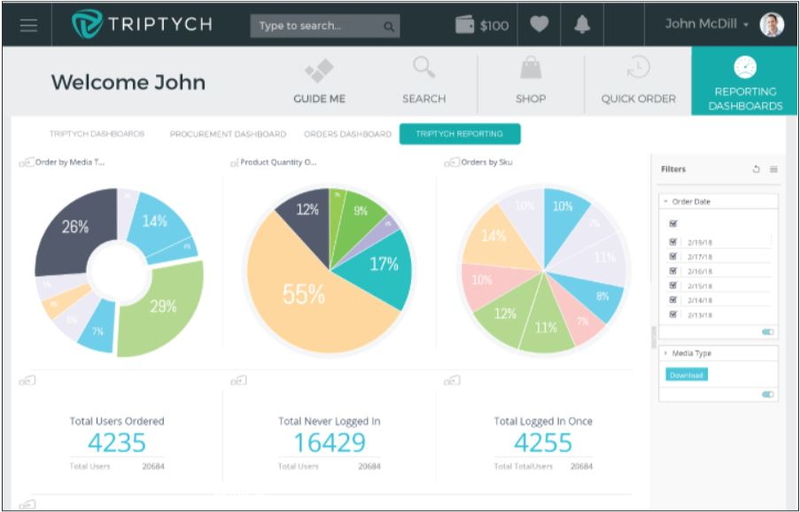 Triptych supports organizations with a large distributed sales force - both B2B and B2C. This can be a combination of internal sales reps, agents, channel partners, re-sellers and distributors. I have not encountered any issues. Pros: This software is very easy to use. I recommend this software highly. I use this software to place several orders on a daily basis. Cons: There is nothing that I dislike about this software. Only would like to cancel an order once it has been submitted if there was an error instead of contacting our vendor. Overall: Easy to use, manage orders, received confirmation of orders. Contacts easy to reach when needed. Great software.